I don’t know if anybody told you, but we started a new year a couple weeks. In light of that, it’s time to make some huge announcements about this blog and about The Kingdom Trilogy. 1. The Kingdom: The Quest is coming out in paperback at FastPencil on January 22, 2011. 2. 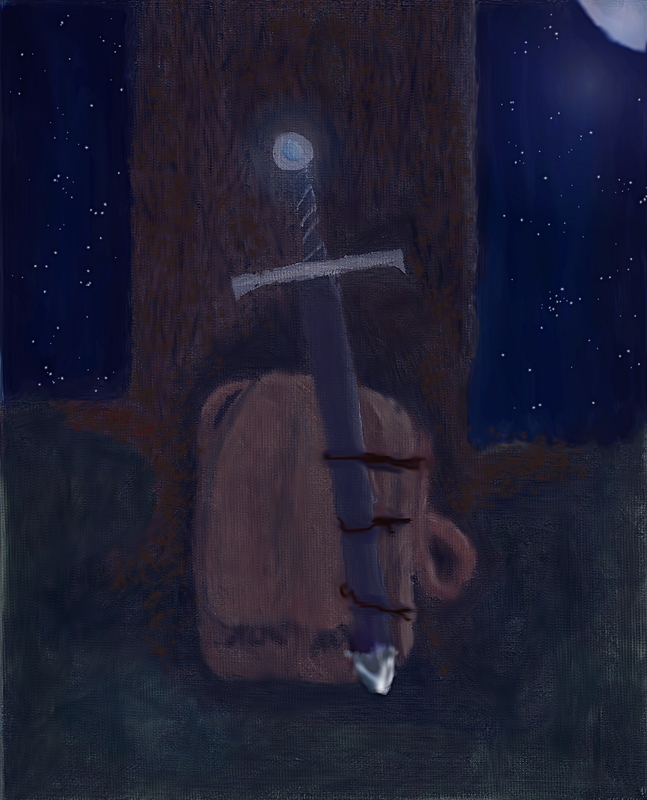 The Kingdom: The Stand is coming out in Summer 2012 to Smashwords and the Kindle Store. 3. While you wait, there’s at least three short stories coming out in the spring of 2012. All of them will be free. 3. For those of you who follow me on Twitter, I am launching a new account on January 22, 2011. Over the next month, I will transition to doing all my tweeting on the new account. 4. This blog is moving into an even better blog. You’ll get the same weekly features on a new site that will keep you updated on not only The Kingdom Trilogy, but also everything else that I’m up to. Over the next few weeks, I will post the weekly features on both blogs. All of the news and updates will be on the new blog. Slowly, I will begin using the new blog exclusively. I’m excited to make this change and excited for a big 2011. The Quest Is Available On Kindle At Last! 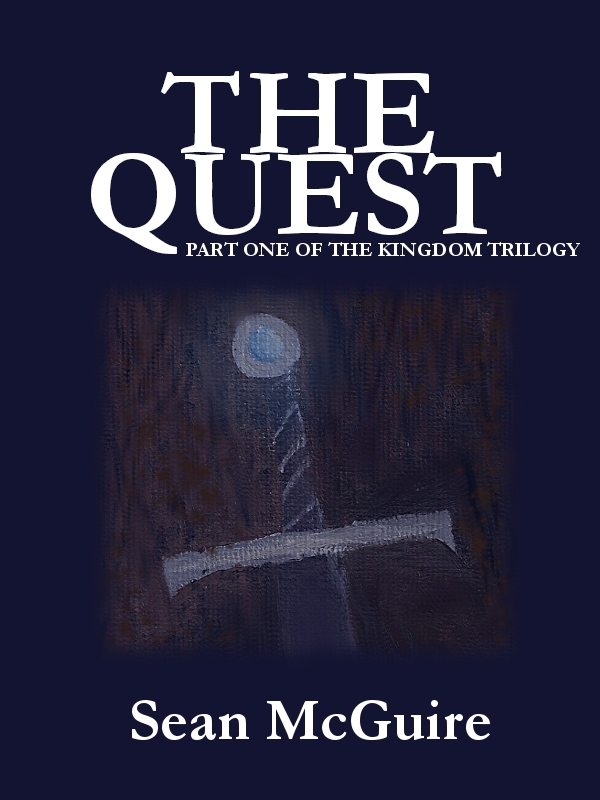 The Quest (Part One of the Kingdom Trilogy) is available for purchase on the Kindle Store and Smashwords! If you want to be one of the cool kids, and even sit with them at their lunch table, pick up the Kindle Edition. Either way, it’s only $2.99. If you need some time considering whether this novel is worth your three dollars, allow me to hypnotize you with my new, ten-million-times-better-than-the-last-one cover design. If you got as far as this paragraph, you are immune to my Jedi mind tricks. Congratulations! You are free from my control! You’re still welcome to grab a copy of The Quest, if you like. Arman falls off a stone tower, nearly drowns twice, faces down murderous phantoms, escapes werewolves, and is nearly crushed by a troll; he went through that and more to give you a fine story to read. You owe him one, don’t you? * = Mark Coker, if you’re reading this, I’m just kidding. If you’re looking for The Storyteller Reports, check back tomorrow. It’ll be up then. With the college semester finished, there’s some news I thought you might like to hear. Today, I have begun working with the HTML to get The Quest onto Amazon’s Kindle Store. I’ll keep you updated as we go along. The goal is to have it up by this weekend, but we’ll see what happens as I go through the manuscript. 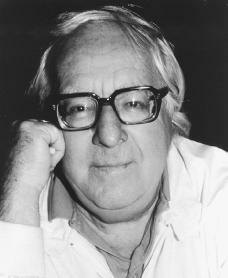 You know who Ray Bradbury is? He’s a writer, and I love him. See “Storyteller of the Week” below if you want to know why. For now, know that he wrote Fahrenheit 451 a dystopian novel that was the most frightening thing I ever read in high school. Until now. BBC brought up that quote as they reported that Mr. Bradbury had caved in at last. I’ll let the Brits take care of the details. I want to say something about the implications. This is a startling turnaround for a guy like Bradbury. You don’t write a novel about a nation consumed by greed and technology, slam new technology in your own day, and then suddenly revert and embrace it unles syou have a good reason. BBC talks about how it would have been difficult to renew Fharneheit 451‘s publishing rights without allowing an e-book edition. I don’t buy that. Would Bradbury have really thought that much about money? By letting them do something with his book that he doesn’t like, something that he seems to be correlating with the mindless future of his book, might he be submitting to that mindless future? And that begs another question. Have we, too, submitted to that mindless future? If so, how? If so, when? Now let me tell you how our boy Bradbury and Fahrenheit 451.changed my life. I read Fahrenheit 451 as an assignment for high school. 5 pages after beginning, I had completely forgotten that it was an assignment. I read ahead without a single thought. I devoured it. I consumed it, like the flames that consume all meaningful books in the story. By the time I was finished, I was walking through high school with both eyes wide open. Bradbury created a convincing and horrifying society of addiction and vapidity, and I could see it all around me in school. I saw kids plugged into iPods, and moaning about how dumb Charles Dickens was, using foul, vulgar words without thinking about their meaning. I saw them glued to television screens, and looking with half-closed eyes at teachers, daring them to try breaching their apathy. “I’m living in a dystopia,” I thought to myself, melodramatically. I still have those moments from time to time. They haunt me, just as Bradbury’s prose haunts me. I can feel myself darken a little, just writing this post. That is no hyperbole, dear reader. I truly think our society has become Bradbury’s nightmare to some degree. For being a modern Cassandra, I award him the honor of Storyteller of the Week. The Smashwords Edition Is Up! After a long and successful bout with Microsoft Office, The Kingdom: The Quest is available on Smashwords! I published it as The Quest (Part One of The Kingdom Trilogy), so it’ll show up better in search results. If you have questions about how to download, I’d be happy to answer them. Would you like a blog post devoted just to that? In other news, the version for the Kindle Store is being ornery. I’ll put that one up for you this weekend. I also want to post the full cover art for the book, if you haven’t seen it yet. I had to make it smaller for the cover, so I wanted to display it here in all its glory. Martha Bartell, a fellow undergraduate at Benedictine College, made this over the summer. I told her about Cythonir, Arman’s sword, and she put it under the moonlight.